Implementing eLearning is a great way to improve your training department. But the process itself involves some work. If you’re not prepared, you can invest time and money into a course that doesn’t do all of the things you need it to do. To help you through the getting started process, we’ve outlined five tough questions you need to be able to answer about implementing eLearning. Do you have sufficient resources to launch your course to all employees? Because eLearning is conducted on a technology platform of some kind (computer, tablet, etc. ), it’s important to be sure you have the right resources for all employees to complete their training. Be sure that your equipment is updated enough to handle the course, and that it’s not too slow to load any interactive course elements like video or audio. The last thing you want to do is frustrate your trainees while they’re trying to learn. Are your learners open to the eLearning format? Beyond appropriate equipment, you need to be sure your learners know how to use the technology the course utilizes. Have you allotted time for a pre-training walk-through on how to use the tools and the course? Are you communicating the value and importance of this format to your team? Trainees need to be on board with the format before being thrown into a dramatically different training situation if they’re used to in-person, traditional training. If you’re having an eLearning course built from scratch, it’s going to take some time. Be sure that you’re not working against a tight deadline and rushing the course development to meet compliance. Create a realistic timetable with your designer, and be sure to keep tabs on the process along the way to ensure milestones are being met and everything is on track. You don’t want to compromise the integrity of a course with long-term benefits because you tried to accommodate a short-term requirement. Is there a dedicated staff person who is in charge of leading the eLearning training? Even though your course will be administered in an electronic format, you still need a point person learners can turn to with questions. There should be a dedicated training leader who not only helps troubleshoot, but also walks unfamiliar employees through the process before the courses even begin. This is an opportunity to include your current training/HR team in this new format. Give them roles that put their valuable skills to good use. Do you have clear objectives for your course? It’s a major red flag if your eLearning designer isn’t talking to you about course objectives. Clearly defined course goals guide the course development process, and provide benchmarks for evaluating the success of this new format. This is obviously important in any course you design, but since you plan on your eLearning courses having a lasting shelf-life, this is even more important. Be sure to define a few measurable course goals (like retention rate, average score, etc.) that can help you decide whether or not your course is performing as it should. 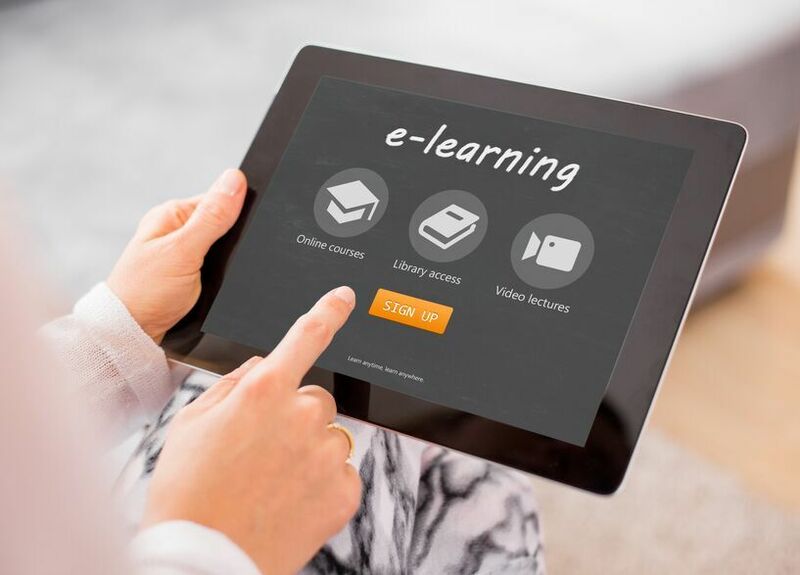 We’re all for the transition to an eLearning format, but we want to be sure that every business or organization that makes that transition does so wisely. If you can answer these five questions, you’re on the right path.